During development process of the static mixer, design and manufacture of the nozzle is key and difficult. In satisfying product quality requirements, try to reduce the manufacturing cost, and shorten development cycle, are main goal of the product developers. 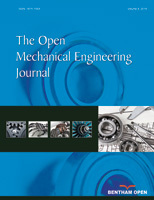 This article carried out practical manufacturing technology research though the manufacturing processing design, machining method selection, quality testing, cost analysis of special nozzle, and so on. The results show that the manufacturing process and machining methods are the crucial factors influencing the product manufacturing costs, and reasonably planning manufacturing process, carefully selecting machining method is an important means of reducing manufacturing cost and shorten development cycle.